An explosion has rocked White City Stadium in Bulawayo where President Mnangagwa was addressing thousands of people at a campaign rally. President Mnangagwa is unhurt and has been successfully evacuated. Vice President Constantino Chiwenga is also reported to be safe. Several people are said to have been injured but the extent of the injuries has not yet been established. The area around the VIP stage has been cordoned off and security personnel are collecting evidence. Unconfirmed reports indicate that Vice President Kembo Mohadi suffered leg injuries in the bomb blast. 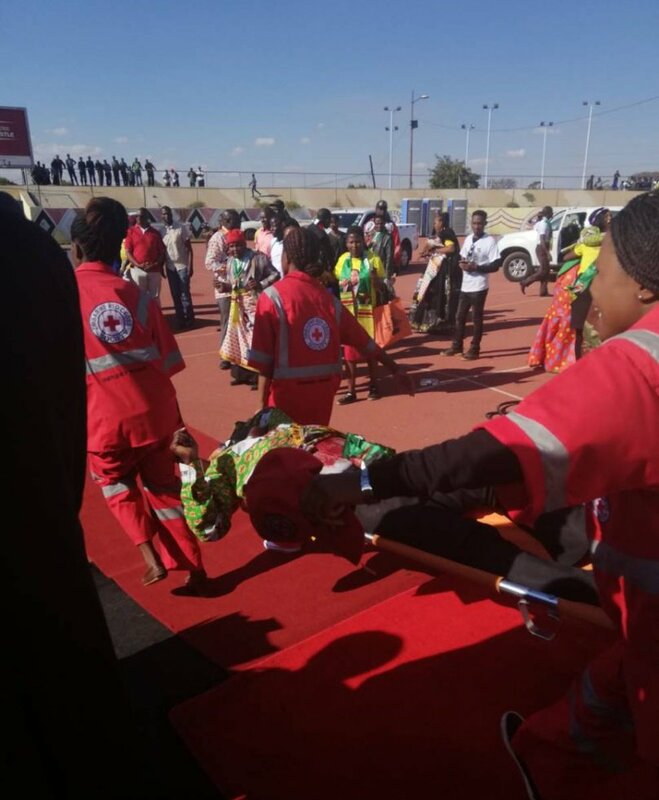 Minister of Water, Environment and Climate Oppah Muchinguri-Kashiri was also injured. The two senior Government officials are admitted at a local hospital ( name withheld. )The Sunday Mail also has it on good authority that several security personnel attached to VIPs are also injured. Officer Commanding Bulawayo province Senior Assistant Commissioner Learn Ncube told The Herald that they have already commenced investigations into the matter.